Make it easy for your family by getting your estate planning documents. 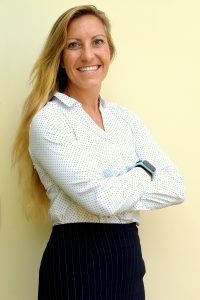 Kristen Spees is a licensed attorney in Hawaii, Nevada and California. 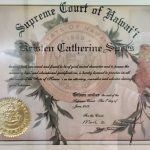 She works with her parents who are both estate planning attorneys, licensed in HI, CA, NV and FL, and have over 65 years of combined experience. What makes us different from other law firms is that our documents are written in plain English and we charge flat fees instead of by the hour for our documents. Here is a list of what to do when your loved one passes away. If this is not an emergency situation, sit back, take your time and breath. Notify a doctor, coroner or local police officer that the person has died, herein after called decedent. Look for the decedent’s trust and will and look for the decedent’s wishes to see if they wanted to donate their organs and alert the coroner. Notify your family and friends of the death. Look in the will for burial wishes. A Trust will name a successor trustee and if there is no trust then a Will will name an executor to administer the estate. Contact a funeral home regarding cremation or burial. Contact government organizations and benefit programs like the Social Security Administration that are making payments to the decedent. The Trustee of the Trust must look through the estate planning documents and find the assets list located on schedule A. One by one, the Trustee will deal with each asset. If there is only a Will the executor of the will can look to see whats assets the Decedent had. Everything hopefully has been given away already. If not the Will must be taken to the county office to be accepted for Probate. Look for Safe deposit keys, life insurance policies, retirement benefits, tax returns, marriage, birth and death certificates, records of personal assets and business documentation, bank statements, check books, titles to cars and deeds of properties, lease agreements, securities, health insurance, stocks, bonds and investments, make claims for unpaid bills and final illness and look for insurance policies and annuities. Call and cancel credit cards, bills and any thing else that the Decedent may still be paying. 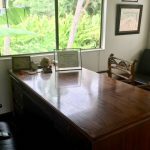 If there is no will and there are enough assets to probate, an administrator will be appointed by the court to distribute the assets according to state law. As trustee, go to the bank and change the trust account to have a new Tax ID number. If the bank will not allow that, open a new bank account for for the decedent’s estate so that all expenses of administering the estate can be recorded and reimbursed. Probate is the process where the executor reports all the of assets to the court, pays debts, taxes and other expenses and distributes the assets according the the decedent’s wishes. This process takes about 8 months and can be costly. If there is no Trust Look for property deeds and and any property owned in other states which will be probated in that state. If the Decedent owned a business look for a buy/sell agreement. Pay taxes, debts and creditors. If the assets are distributed before paying creditors the executor may be held personally liable for the debt. The Decedent’s income taxes must be filed and paid for the year of death. A surviving spouse can file jointly for the year of death. A Trust will become irrevocable at the time of death of the last Trustor. A separate tax return must be filed for the trust called a Form 1041. Fiduciary Income tax return, if the trust estate is receiving income. The Will lists the guardian for Minor children. If no guardian is listed, the court must appoint a guardian. The trustee or executor must make sure that any real estate insurance policies of the decedent are maintained. Collect Veterans benefits and other Joint and survivor benefits for the surviving spouse.